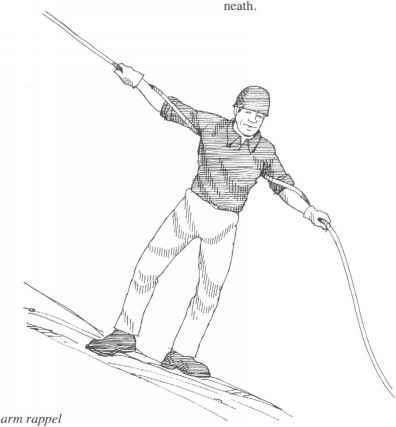 In the old days, climbers looped the climbing rope around the waist several times and tied in with a bowline-on-a-coil (fig. 6-27). That practice is no longer encouraged because long falls onto waist loops can injure your back and ribs. Falls that leave you hanging, such as a fall into a crevasse or over the lip of an overhang, will constrict your diaphragm and suffocate you. Nowadays, climbers who value their health tie the rope into a harness designed to distribute the force of a fall over a larger percentage of the body. 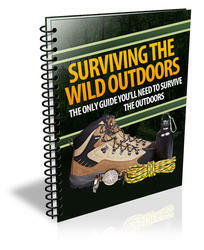 (The bowline-on-a-coil is an option for emergency use if no harness or harness material is available.) The rope is tied into the harness with knots such as the rewoven figure-8 or rewoven bowline (for climbers at the ends of the rope) or with the double rewoven figure-8 or double bowline (for middle climbers).